Moving can be a big undertaking, so finding the right moving and storage company is essential to having a successful move. That’s where My Guys Moving & Storage in Norfolk steps in. With more than 25 years of experience in the moving industry, we have the knowledge and resources needed for a stress-free move. We’re a family-owned and operated business in Virginia Beach, so we understand this community and its needs. Whether you’re in need of long-distance or international moving experts, My Guys Moving & Storage is the smart choice. First incorporated as part of the Elizabeth Cities jurisdiction in Great Britain’s Virginia Colony in 1619, Norfolk is one of America’s oldest cities. It is steeped in tradition and culture, and has a great deal of historical significance to the U.S. The city is considered the historical center of the Hampton Roads region of Virginia and many of Norfolk’s streets and neighborhoods are still adorned with 19th-century style homes and buildings. Norfolk is a huge shipping and commerce area with a large freight port, it also has the largest Naval base in the world, Naval Station Norfolk. Much of the historical attractions in Norfolk are located in the Ghent District. The Chrysler Museum of Art has been called the finest art museum in the state by The New York Times, and it comprises more than 30,000 objects that span over 5,000 years of world history. The Harrison Opera House is the home stage of the Virginia Opera, which performs to sold out opera crowds regularly. The historic Naro Theater, now the Naro Expanded Cinema, has been entertaining moviegoers since the 1960s. Norfolk also has many modern attractions, including Nauticus, the National Maritime Center, which features hands-on exhibits, interactive theaters, aquariums, digital high-definition films and many educational programs. The USS Wisconsin is a great old battle ship to spend a day exploring, and cruises visit the city via the local cruise ship pier. Large concerts and events are often held at either the Norfolk Scope arena or the Ted Constant Convocation Center at Old Dominion University, while The Norva provides an atmosphere that is smaller and more intimate.The basketball games between Old Dominion University and Virginia Commonwealth University are usually quite entertaining. Downtown revitalization efforts have filled Granby Street with a variety of clubs that cater to all types of musical tastes. For a trustworthy name in moving within Norfolk think of My Guys Moving & Storage first. Whether you need packing supplies, storage space or the help of moving experts, we’re the right movers for the job. Call us for more information, and check out some of the useful moving tips on our website. You can get a free quote by filling out our online form, and also you can book with us now by calling (757) 463-3001. 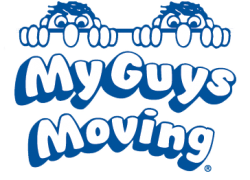 My Guys Moving & Storage is proud to say that we have been serving the Norfolk area for more than 25 years. We offer our wide range of moving and storage services to the following zip codes: 23502, 23503, 23504, 23505, 23507, 23508, 23509, 23510, 23511, 23513, 23517, 23518, 23523, and 23551.